I would expect about 3-5 posts from you on Post Your Newest Shiny then. What shiny do you think will come next for December 2019 event? Have you been lucky recently? How do you mostly grind xp? Can you or have you gotten a meltan box? December 2019? Are you already writing off the next 9 months to get to the end of the year? 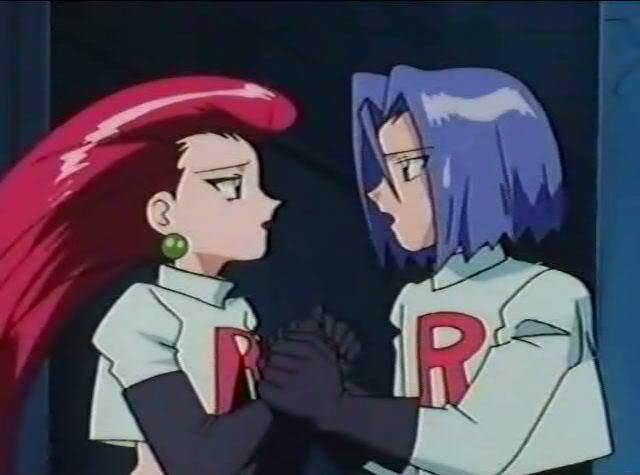 How do you see Jessie & James? They are like sister and brother. They are in a relationship. They should be a couple. They should see other people. @cup you didn’t vote in my poll about Jessie and James. Would you like to be Giovanni for the next Team Rocket Days? YouTube deleted 2 big Pokemon Go ambassador accounts. TrainerTips & Mystic7. Did you here about that? No, what, has YouTube gone nuts? No, but never watched anyway. Yes, what, has YouTube gone nuts? Yes, but never watched anyway. Are you going to participate in 6th Team Rocket Days? I think I’ll try it this time. What are Team Rocket Days?